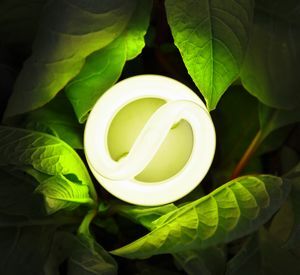 Creative business strategies and technological innovations are enabling companies to move toward sustainable procurement for their energy needs. Recently, two developments in green fuel suggested that these efforts may be moving in the right direction and highlighted the fact that there is more than one approach to eco-friendly energy sourcing. Effective energy procurement has long been a challenge for companies in the aviation sector. The amount of fuel it takes for an airline to run its operations on any given day is tremendous, and even though oil prices aren't currently as high as they were in 2012, the energy expenditures required to keep aviation firms afloat remain immense. Companies in this space are starting to think about how they'll pair long-term business cost reduction goals with the need to move toward sustainable energy. Aircraft manufacturer Boeing recently announced that tests run by its research team found that a type of green diesel made from oils and fats rather than fossil fuels would emit about 50 percent less carbon dioxide than major fuel sources currently in use. The development represents a large-scale approach to sustainable energy sourcing. The company is pushing for approval of the green diesel by the United States Federal Aviation Administration, and James Kinder, a technical fellow in the commercial airplanes propulsion systems division at Boeing, made it clear that the firm thinks the fuel will transform the industry. "Green diesel approval would be a major breakthrough in the availability of competitively priced, sustainable aviation fuel," Kinder said. While Boeing is looking to replace current fuels on an industry-wide scale with a green, yet affordable option, researchers at Harvard University are taking a less flashy approach - but one that may be even more revolutionary. The institution recently announced that a team of scientists had developed a flow battery, which operates much like a fuel cell, capable of storing greater amounts of renewable energy (primarily wind and solar) than traditional batteries can, while at the same time reducing costs. The technology is made possible in part by quinones, a type of molecule that occurs in humble plant life. "Quinones are abundant in crude oil as well as in green plants. The molecule that the Harvard team used in its first quinone-based flow battery is almost identical to one found in rhubarb," the university noted. While Boeing has offered an immediately available solution, Harvard's looks ahead to wind and solar power as long-term answers - but both recognize the importance of cost reduction.